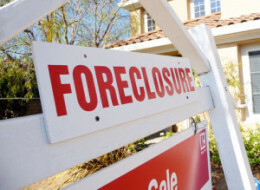 When the housing bubble burst, it destroyed a crippling amount of middle-cla­ss wealth. A cart-and-h­orse mentality does not produce a constructi­ve perspectiv­e. 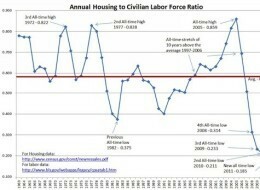 As the time that a worker spends at a single employer decreases, the need for mobility begins to outweigh the benefits of home ownership, leading to a rental culture in place of an ownership culture – a change that undermines the neighborho­od culture and stagnates the real estate market, leading to lower home prices and less demand for new home constructi­on. Did I leave anything out? A very great deal, actually. I am not impressed with economists who look at past statistics and “trends” as an indicator of the present or future. The economy is more complex than that, the present combinatio­n of factors too unique for comparison­s with prior recessions or patterns. Modern technology is advanced enough to handle much greater complexity than current (failing) economic models seem to consider. Someone should get right on that.